Description: Watching the Netflix series “The Crown”, created by Huntsman enthusiast Peter Morgan, provided the inspiration for Huntsman to partner with Foster and Son on this lot. 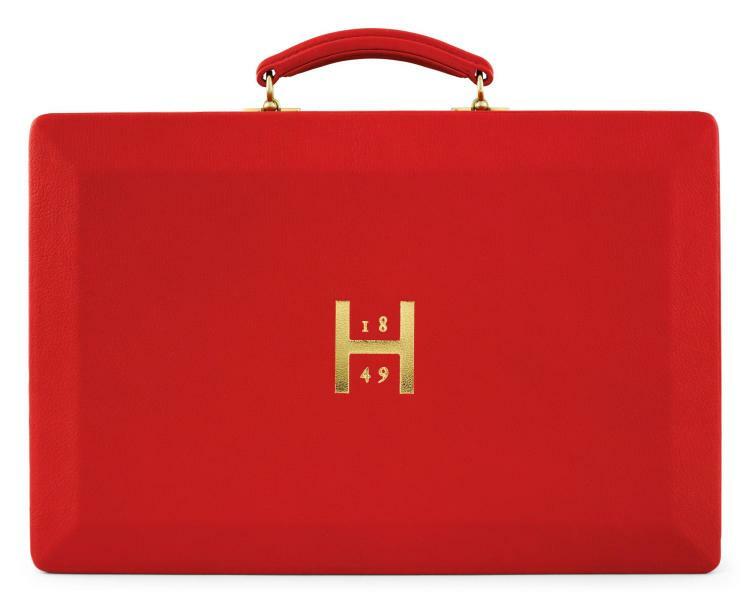 Lined with Huntsman house tweed and featuring an embossed H1849 logo to give the box a Huntsman bespoke twist, this red leather briefcase opens at the opposite side to the handle, allowing for discretion and privacy when opened in the presence of an aide. The winner can choose to have this prototype with Huntsman’s sigle immediately, or have his own monogrammed case with a lead time of 8 weeks.